To the sort of people who think that a few teenagers living in a shack on a hilltop represent the greatest threat imaginable to the peace process and world peace-- the so-called "Price Tag" attacks in which local Jewish farmers strike back against Muslim attacks as a deterrent against further violence are an obsession. Whether there are actually any "Price Tag" attacks and how many "Price Tag" attacks there are is open to question. Security agencies tasked with going after "right wing extremists" usually get their man and after a splashy announcement and prolonged detention have to let them go because their case doesn't actually exist. At that point it doesn't matter, the arrests have already been widely reported and the conclusions have all been drawn. The investigation of a mosque burning incident has already resulted in arrests of people who couldn't have physically done it. But the arrests themselves are a form of "Price Tag" exacted by the authorities against community members to send a message. It's a particularly ironic form of message when the goal is to clamp down on those types of "eye for an eye" tactics. States tend to command a monopoly on violence which is well and good, it's one of the things that states are for, and one of the few things that they do well, but that monopoly depends on the state exercising its proper function. The ugly truth is that the Israeli authorities have lost control of parts of the country, not just in places like Gaza and the West Bank which have been turned over to terrorist control, but in the Galilee and many Arab villages well within the '48 borders. A sizable percentage of Israel's Muslim population lives in "No Go Zones", areas where Israeli police cannot operate and which they do not enter except on rare occasions. This isn't an entirely new development. Arab villages ran things their way, received state funding and avoided involving outsiders in their affairs. The village elders, some of whose families had backed the Israeli side in the war, took care of business and the authorities didn't ask too many questions. The situation wasn't peaceful by any means, car thefts and copper thefts were and are common, and those cases tend not to be pursued. The owners are told by the police to accept the loss, collect the insurance and move on. Crime is widespread, income in those areas is mostly off the books and the construction is illegal and takes place on state lands. Still the arrangement was mostly stable at least until the "wages of peace" kicked in and concessions to terrorists weakened the Israeli position. The old arrangements had been made based on a strong Israel that the village headmen could rely on for stability. 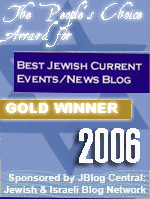 The Oslo agreements showed that Israel was weak and unstable. As did the withdrawal from Lebanon, the evacuation of Gaza and every disastrous step along the way right down to the Gilad Shalit deal. Not only did Israel look like easy prey with no future, and the Arabs who had supported it looked like they had backed a loser and would be forced to pay the price for it by their cousins on the other side of the border, but the left's NGO's were busy mobilizing and radicalizing Israeli Arab. On top of that a lunatic plan had been laid out by to compensate for the abandonment of Gaza, Judea and Samaria by expanding settlement in the Negev. The reaction of Bedouins in the Negev to this plan was about what could be expected. The people dealing with all this weren't living in residential towers in Tel Aviv, but in rural areas where Israeli law enforcement no longer operates in any meaningful way except when it comes to arresting Israelis. When law enforcement no longer does its job, then local residents begin doing theirs. The reason we have laws and police forces is so that it doesn't come down to that, but when the police enforce the law against only one side, then they are worse than useless. When local residents are confronted with stone throwing, land seizures, vandalism, theft and assault that the authorities are no longer interested in dealing with, then it's inevitable that some will act to create their own law based on a balance of terror. There's nothing glorious about that, it's what happens when the law no longer works and no one has any confidence in its enforcement. And that's only a thin slice of the larger problem. The Shalit case was a demonstration by Hamas that Israel can no longer control what goes on inside its own borders. But there are plenty of unheard signs within the forty-eight that the situation is deteriorating badly throughout Israel. The Muslim Brotherhood isn't just operating in Gaza and Palestinian Arab nationalism stretches well beyond Ramallah. The difference between most Israeli Arab MK's and Fatah and Hamas leaders is cosmetic. The complex currency of transactions has Israeli security forces tearing down Jewish villages to meet demands by European and American diplomats, only for supposed price-tag attacks to retaliate against what European and Israeli leaders seem to care the most about, Muslim settlements. And if local Muslim tribal warfare gets passed off on occasion as price tag attacks, then so much the better as it will mean apologizes and funds from Israeli leaders. 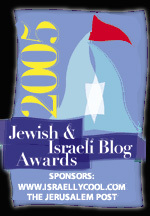 Breathless reports on the latest thing those "crazy right-wingers who will tear the country apart"(TM) have done is a propellant for the inbred intelligentsia who are sure that the country went wrong around the time the religious began having too many kids, especially the ones from Yemen, but what they are ignoring is that Israel's surrender of moral and political authority has created a wild west that won't be put to bed with Haaretz editorials. Jerusalem may have light rail and Tel Aviv may one day have one too, but the tensions in much of the country that never sees a minister unless he's flying overhead are about basic things like grazing space, water rights and not being murdered in your bed. And deeper inwards, Israeli cities are roiling with the same Muslim violence and native self-defense groups that are a familiar sign in London and Paris. The Israeli left and its punditocracy are still hoping to divert the country by raving on about settler price tag attacks, but is Jaffa a "settlement" now? Is Tel Aviv? For the last two decades, Israeli authorities have abdicated control over much of the country, shown weakness in the face of terror and imported large amounts of migrant workers. All those things have a price and all the euphemisms about democracy won't change the equal and opposite reactions of teens trapped in lawless zones that their government created with its hybrid legal system and its deals with terrorists. When the snotty university brats of the rich, whose fathers are members of the elite, come down to their towns and protest on behalf of the Muslims, and break the law and walk away, what are those teens supposed to think? That they live in a democracy with full protection for all, or that the law only rewards those with protektsia or those who are willing to make those with it pay a price for tampering with their rights? The left created this nightmare by encouraging and rewarding Muslim violence. It can either reverse course and uphold the rule of law, or it can start rewarding Jewish violence, or it can go on rewarding Muslim violence, punishing Jewish violence, while preaching about the sanctity of democracy, justice and the law. And those teens will take out their spray cans and write what they think of a democracy in which the Supreme Court declares itself above the law, where the police enforce laws against only one side, and where every minister who pounds the table about justice fills his own pockets to the brim. While Haaretz writes its editorials, they will write theirs, and while theirs won't be nearly as articulate, they will be harder to ignore. Come Chanukah the Holy temple needs cleansing once more from the Helenistic elite who defiles it. The rift between left and right Jews has become too wide. One group left the basics of Judaism and one only, the settlers, has stayed upright. As if it's not enough to have ennemies from without already calling for an other fly-in provocation coming April, a call co-signed by Noam Chomsky (the Menelaus of today) where is the modern day Mattatiahu to lead the revolt of the righteous? Is it JUST the encroachment of the Left that has led to this or are there more causes? Could you explain those at all? Israel has been & still is the only [real] democracy in the Middle East. It is surrounded by an implacable foe which is openly intent on its annihilation, plagued by thorns in its sides, courtesy of Hamas, Hezbollah & the fictitious land grabbing Palestoid version of a Trojan horse - and as if that wasn't sufficient provocation & harrassment, conducive to launching an all out war against its aggressors, Israel is required to show restraint & make unilateral concessions to keep them happy while they go on conspiring against her! the insipid conspiratorial Muslim sympathising Quartet and the Muslim propoganda deluded, woefullly ignorant & increasingly antisemitic international community. Israel is doing remarkably well in steering a course between snakes & trap doors in a scenario where it is damned if it does & damned if it does not! Survival is the issue and when push comes to shove, Israel will take off the velvet gloves ! There are so many inaccurate statements , wild generalizations and ridicules conclusions that I don't know where to start. It is clear that you think that the settlers are wonderful people that where neglected by the government. So why are so many soldiers protect them daily on every bus ride or outing ? why do they get more public money per capita than any other citizen for education, welfare etc. ? They are not innocent at all. They want to provoke and to clash with Arabs because they think that this will force Israel to accept their way. There are fanatic in their religious outlook and don't care about democracy. Please check them better before you defend them. Tel Aviv, not religious and identified with the left who read Haaretz and watch Israeli TV. Just try to read Arutz Sheva every day, maybe you can see the other picture. The situation in Israel is desperate, Israelis are turning against each other, tearing at each other because they are attacked from outside and inside. @Anonymous the critic. If in a country where your neighbors try to kill you for the last 80 years you do not yourself become somewhat of a fanatic you'r dead! The left winged liberal intellectual elite still thinks that they can sooner have a dialogue with those that would massacre them without the least remorse rather than with their Jewish religious brethren who stand at the front-line and that is a very sad delusion. everthing you've written here is true; tragically true. I will never fully understand the border issues as it's like a game of twister. But the West Bank will always be Samaria and Judea. Nothing will change that. Muzzie bastards, their religion is allah about hatred and conquest of the other. I'm sure people in Fwance can appreciate muslime no-go areas as well. I'm pretty sure Jabotinski would be disgusted to see how Israel operates today. It just goes to show you that appeasement of islamofascist bastards gets you nowhere. Maybe it's time to bring back the Irgun and Haganah? Perhaps I missed it in Mr. Knish's article - the reason that violations of Jews are permitted by the legal authorities in Israel. It is simple leftist reasoning. It is to make the Jews so uncomfortable that they will leave. It is the widely held opinion among the intelligence community, the police and leftist politicians that there is a portion of settlers who would much rather move than tolerate such treatment. When those are gone, it will be a simpler matter to remove the most ideologically committed by demeaning them as violent fanatics. They will be packed off to Israel or abandoned to the PA. The grand manipulations that are the meat and drink of the leftists are carefully designed to ignore the human tragedies that they impose on others. We can see this clearly from the catastrophe of the Gaza withdrawal. Instead of preparing alternative living arrangement before the withdrawal, the government simply removed the inhabitants to the Green Line and left them. Some temporary quarters were acquired in hotels, but then the Gaza Jews were again put out on the streets. Indeed, some were charged for their hotel stay, thus reducing their compensation package to the point that they could not purchase new housing. To this day there are Gaza Jews who are still waiting for compensation for homes and businesses. The same treatment will be accorded to the Jews of Judea and Samaria. By the way, far worse treatment was foisted upon the South Lebanese who supported the Israeli army while they were present there. Many were killed, imprisoned or exiled by Hizb'Allah when they took over after Israel withdrew. The lovely person who oversaw that operation was Ehud Barak. It appears that Israel has fallen prey to the same diseases that afflict America. Indeed, it appears that in this era of globalization, none are immune as Europe has the same symptoms as well. OT but isn't this the dark month when should be preparing for the battle before Chanukah? What are our battle plans? The only appeasement that works is the ones that Muslims render to you. Only then does peace exist. So why not start the process of annexing Judae and Samaria, one slice at a time. After all, what has Israel to lose - the support of Obama, the Left, the never ending hostility of the Muslim world, the EU, what?